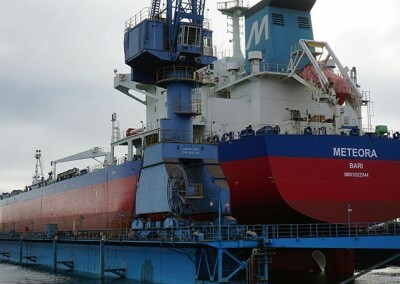 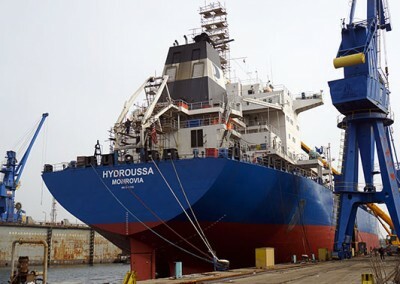 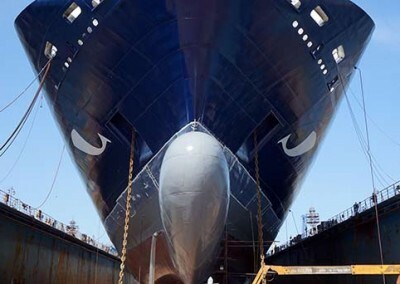 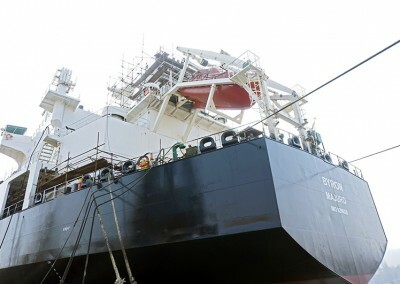 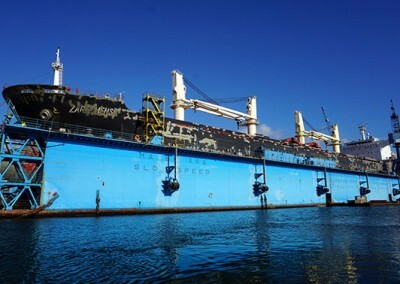 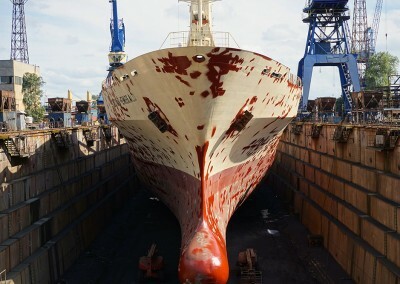 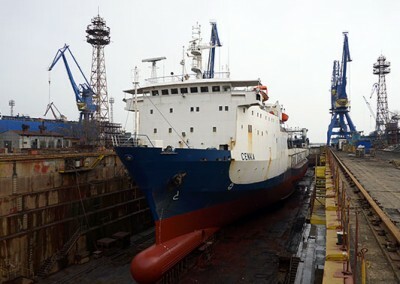 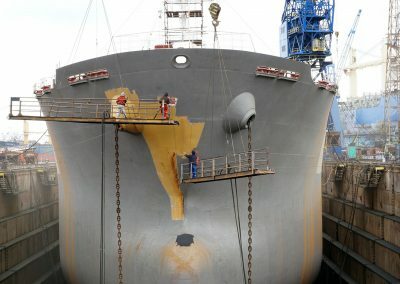 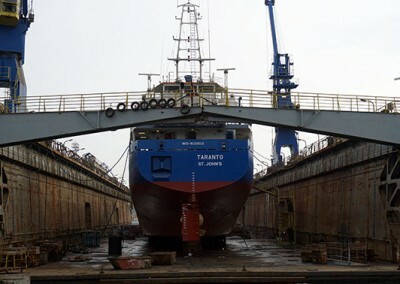 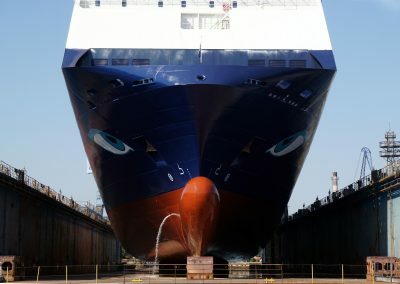 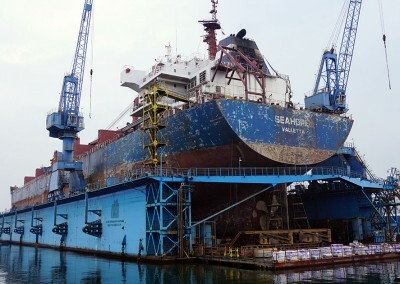 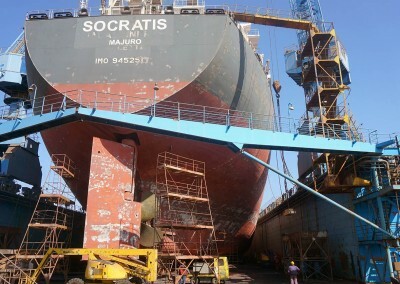 M/V NEPTUNE THELISIS | Odessos Shiprepair Yard S.A.
Odessos Shiprepair Yard has continued its good customer relationship with class renewal to Neptune Thelisis, owned by Neptune Lines. 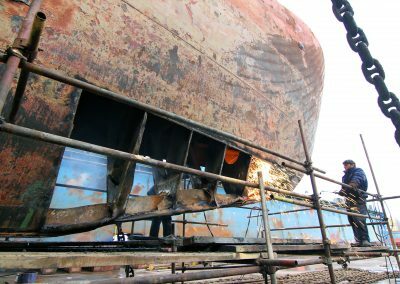 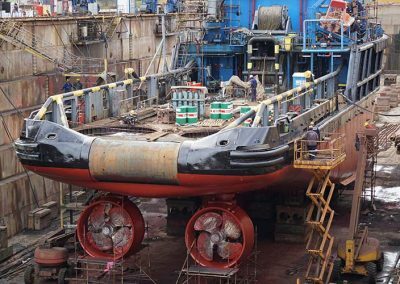 Hull treatment – clean by HPFW, LPFW, grit blasting SA2, SA1, air blowing, epoxy primer painting and silicone painting program. 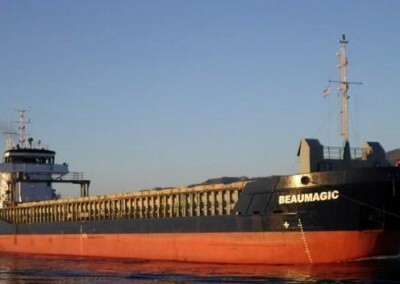 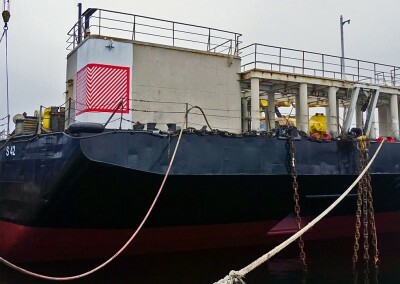 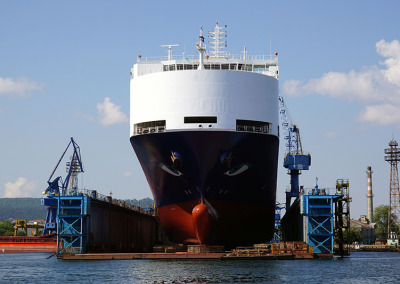 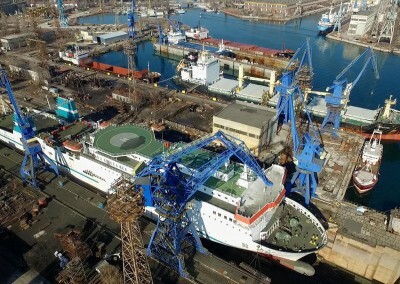 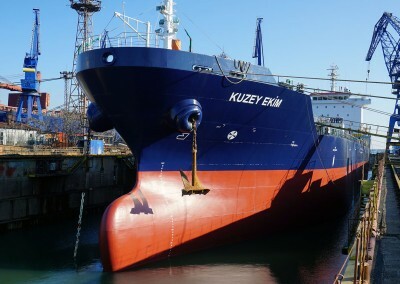 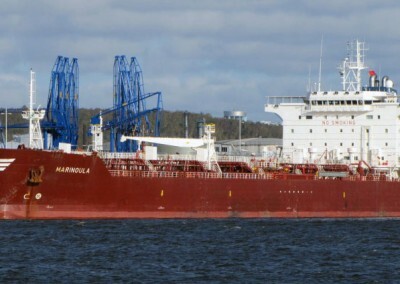 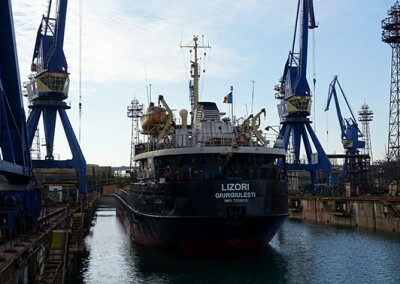 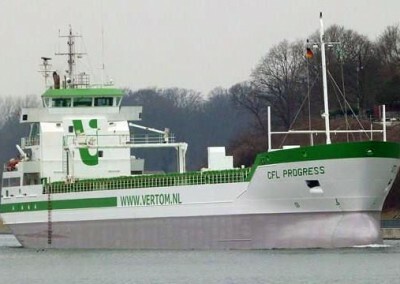 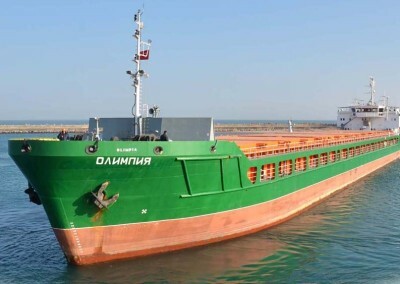 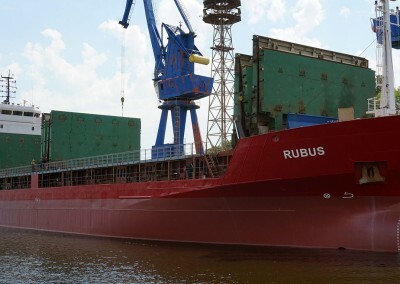 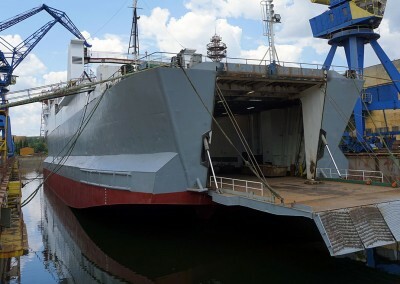 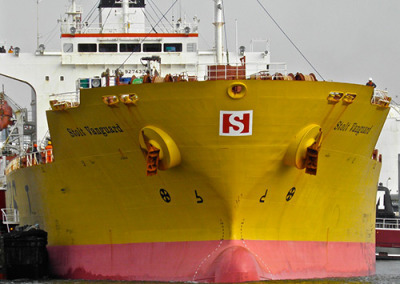 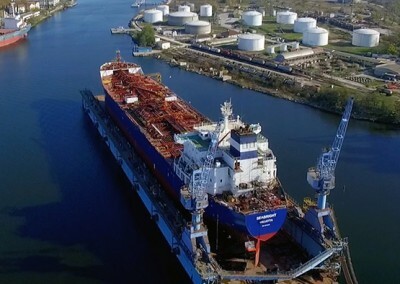 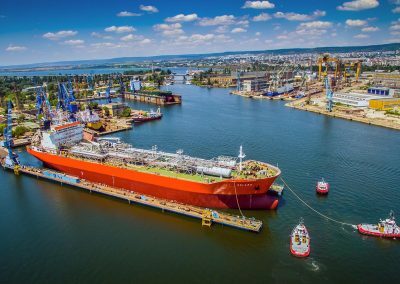 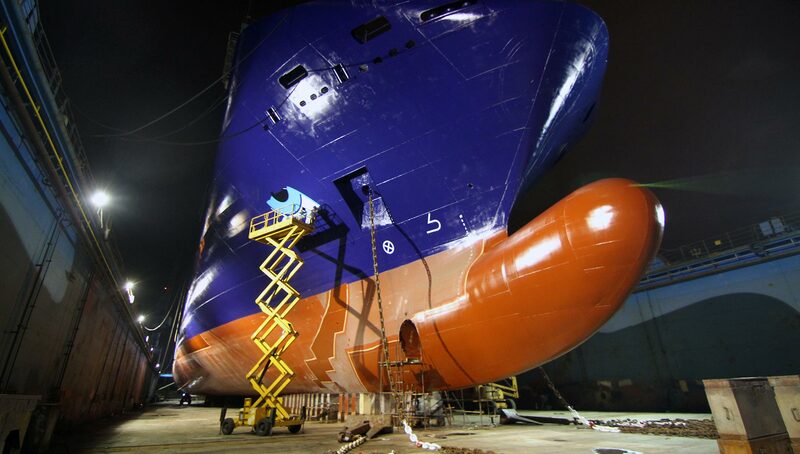 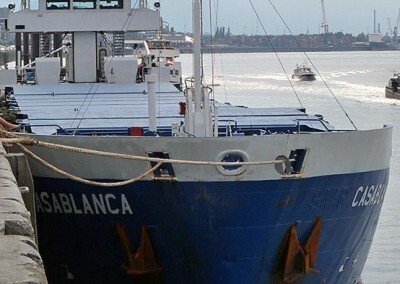 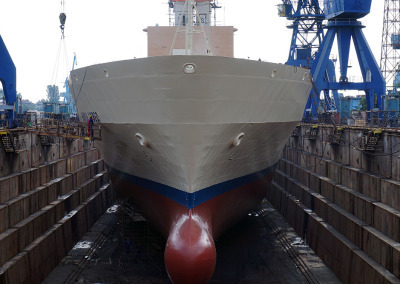 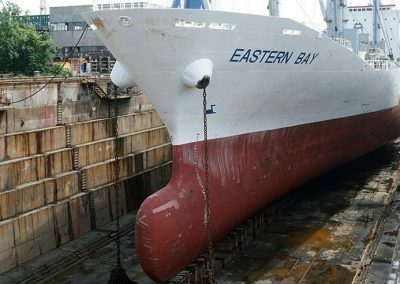 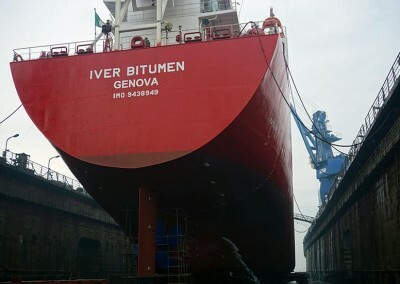 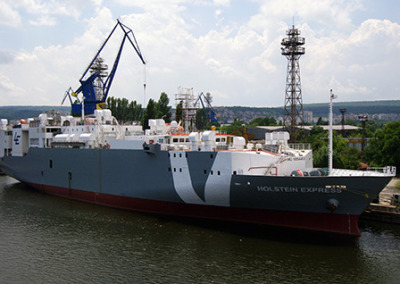 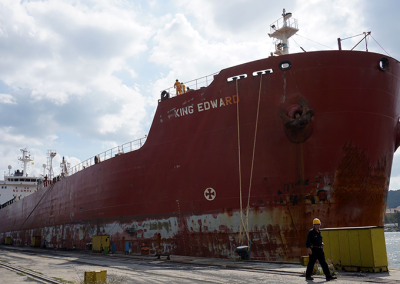 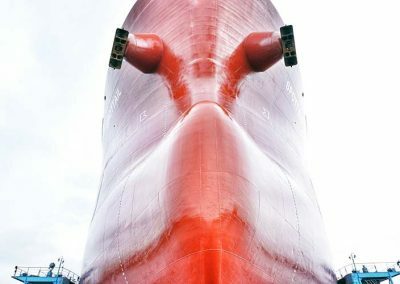 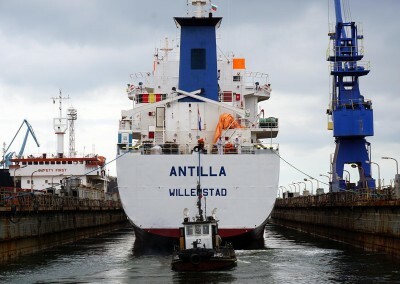 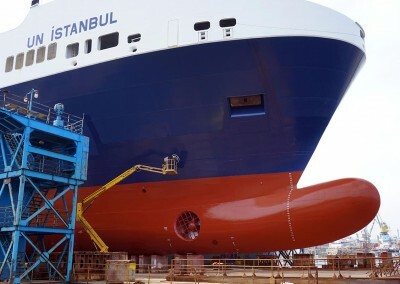 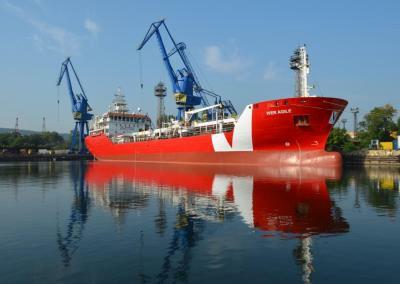 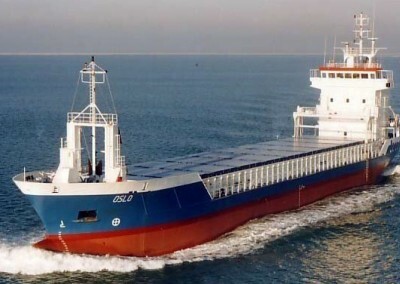 In connection with the silicone painting program we needed to protect Propeller, ICCP, Anodes, Log, Thruster propellers, masking by plastic sheets above waterline, dock cleaning and washing. 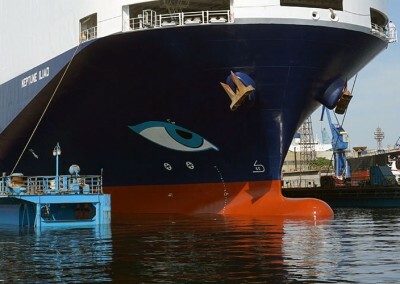 Neptune Lines eye logo on the bow PS/PB was marked and painted.